There are few carpet provenances whose reputation can compete with that of Kashan. Keshan stands for the highest standards and traditional production of the finest craftsmanship. One of the most famous Persian carpets of all, the Ardebil rug in the Victoria and Albert Museum in London, is said to have been knotted here in this city between Isfahan and Tehran. 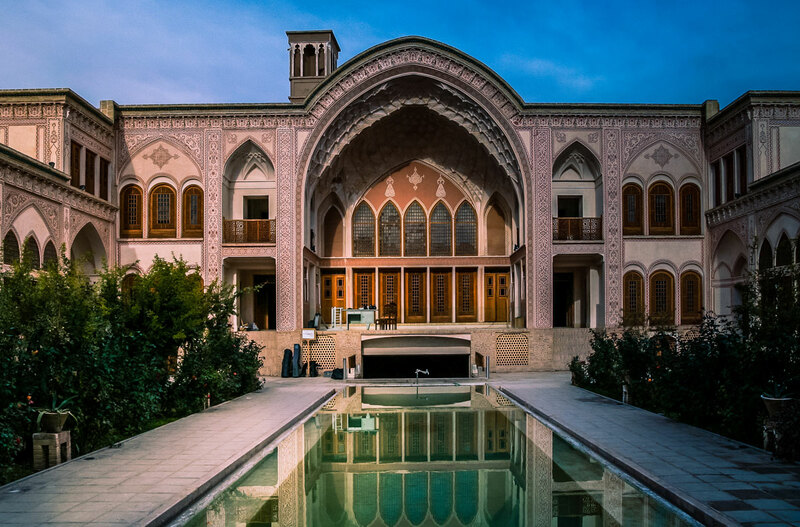 In the Persian Empire, Kashan was considered one of the most important trading places on the famous Silk Road, which still exists today. Today, however, this location has lost importance. 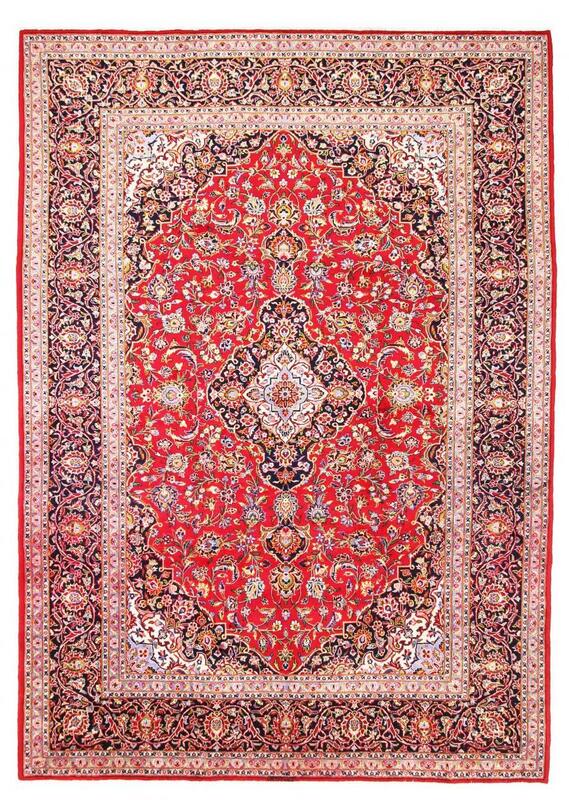 Kashan carpets are mostly knotted from very good wool. Silk is rarely used. Carpet production experienced a decline in the past, but until today it came back to its old strength. For this reason, Keshan carpets are very popular and appreciated by connoisseurs of the industry. Warp and weft are usually made of cotton and the pile is made of high-quality sheep's wool. The dense knotting with Persian knots creates carpets that owners will enjoy for a long time. There is a variety of knotted patterns. Thus, medallions as well as floral ornaments or allover designs can be found. 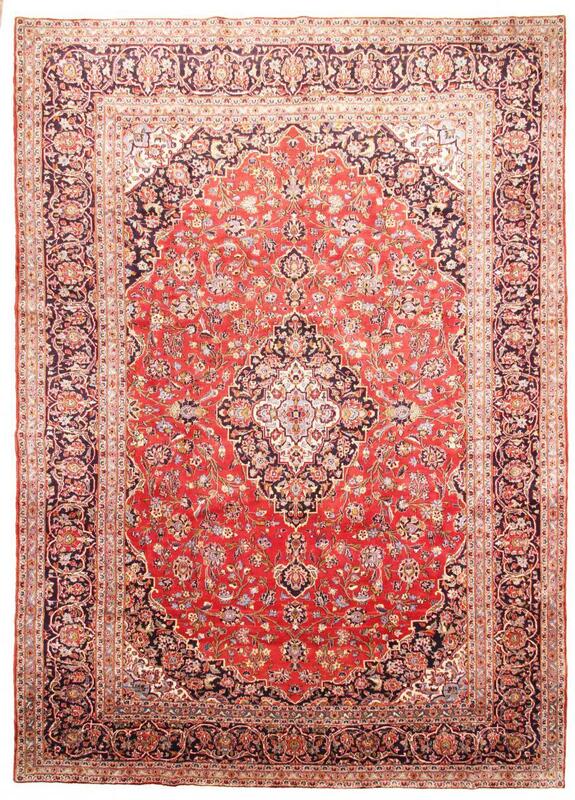 The colouring of these Persian carpets with blue, red and beige shades is highly traditional. However, caution is advised: Not uncommonly Kashans are sold, which do not even come from this city, but from an Indian production. These are of significantly lower quality. This can be quickly identified by a direct comparison. These rugs have been provided from an assortment of over 1.100 Kashan rugs by Nain Trading from Hamburg. Hamburg, Germany is still the most important hub for the trade of oriental rugs in the Western World with Nain Trading offering one of the largest assortments of handmade oriental carpets worldwide. Location - where do I find Kashan? 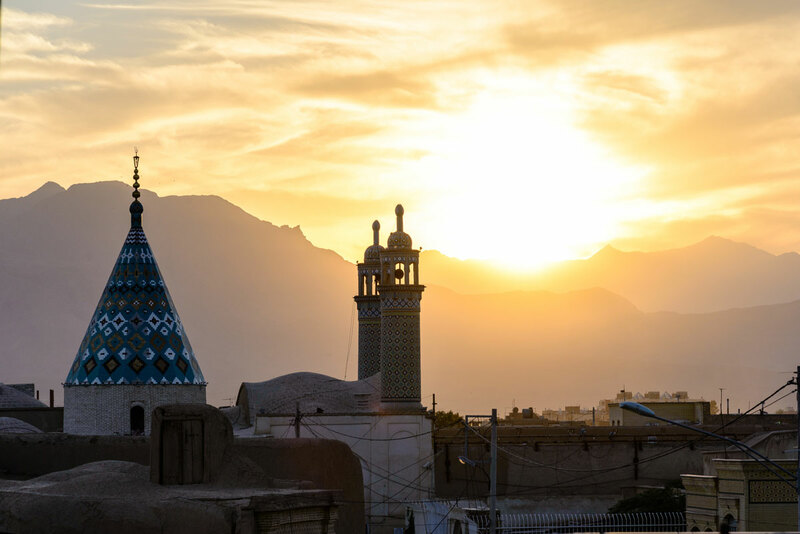 The city is located about 200Km south of Tehran.